engaging the IAPB in wider networks seeking to build environmental sustainability into eye health. This initial session of the working group was attended by nearly 30 ophthalmologists and eye care specialists from 7 different countries. In addition to the exciting kick-off of the work group, IAPB also hosted an Environmental Sustainability Workshop for their broader Council of Members. 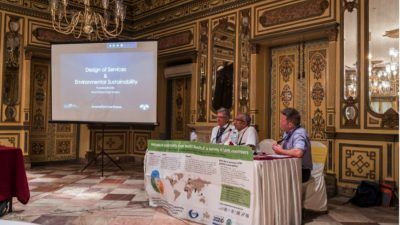 In this workshop, roughly 100 attendees from around the world learned about the three pillars of sustainability (financial, environmental, social), and were then asked to imagine what they could do to improve sustainability of their cataract surgical services. Their answers were collected and collated and fell under general topic headings of transportation; human resources; buildings & energy; supply selection and the use of reusable materials; policies around procurement, supply management, and electronic health records; surgical and patient care pathways; and moving care closer to home. This workshop was led by members of the ‘Triple C’ project, a group working to develop a web- and phone-based clinical services auditing tool. This tool, under pilot funding from IAPB and Standard Chartered Bank’s Seeing Is Believing (SiB) grant will calculate cost per case, productivity, and carbon footprint of individual cataract services worldwide. In 1999, IAPB and WHO launched a global initiative to eliminate avoidable blindness by the year 2020. This was complemented and built-upon by additional Action Plans, adding other components to this initiative (like tackling visual impairment caused by uncorrected refractive errors). It seems fitting that IAPB should add another aspect to our aims—sustainability. We look forward to seeing many more exciting things from the IAPB, their member organisations, and their Environmental Sustainability Work Group! 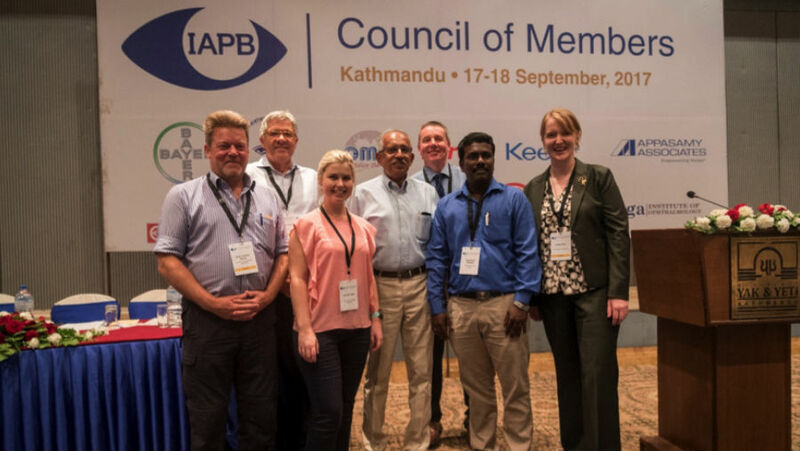 Photo on left: Presentations on sustainability in eye care from president of the IAPB Environmental Sustainability Working Group, Thulasiraj Ravilla (center). Also pictured, Phil Hoare (left) and Andy Cassels-Brown (right).